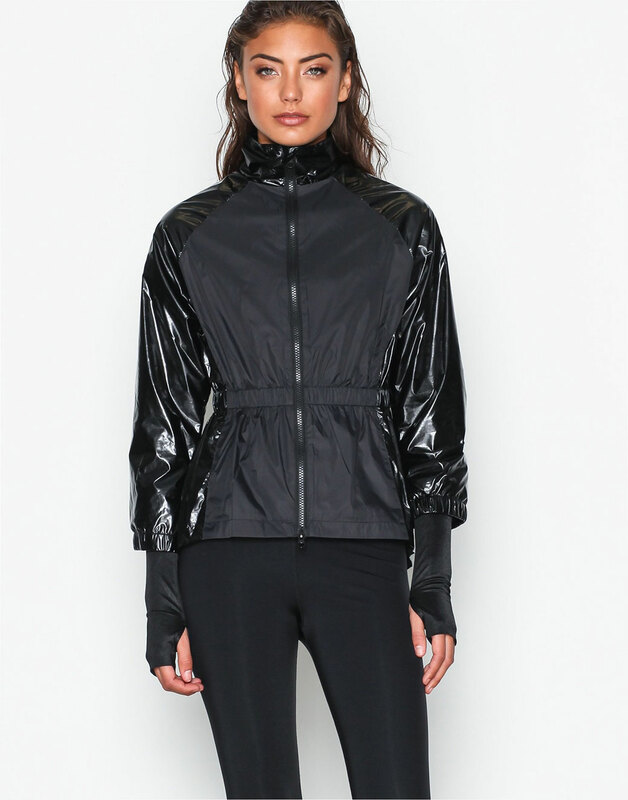 Training jacket in contrast panels along the waist in a shiny material from Fashionablefit. High collar, with a decorative zipper on top and in the bottom for adjustable opening. Hidden opening for the thumb in the sleeves in a soft material. 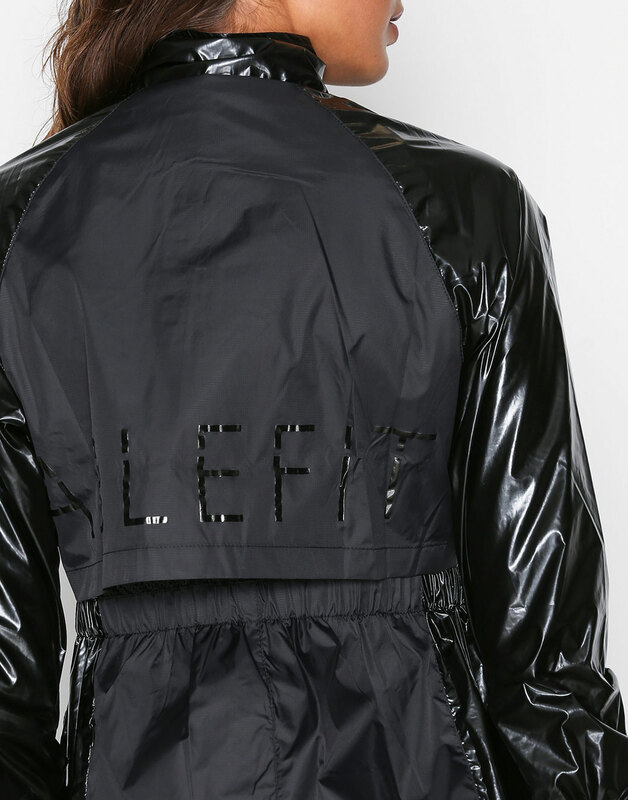 Decorative logo text on the back in thin black letters „Fashionablefit“. Rubberband in the waist for better fit.